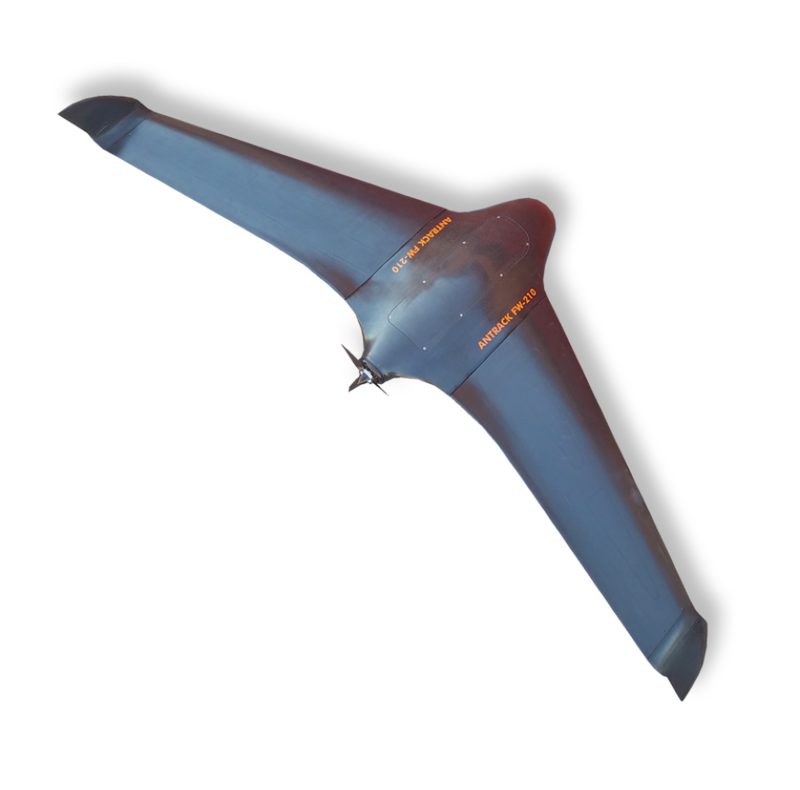 It has 2100mm wingspan, with an alar surface of 80 dM2. It is built in carbon fiber / Kevlar. It has an electric motor of 1.5 Kw, moved by a lithium battery and driven by a folding propeller. Take off with a catapult and land with parachute or through a landing gear. Terrestrial and maritime day and night surveillance. Precision agriculture, forest fire monitoring, search and rescue. 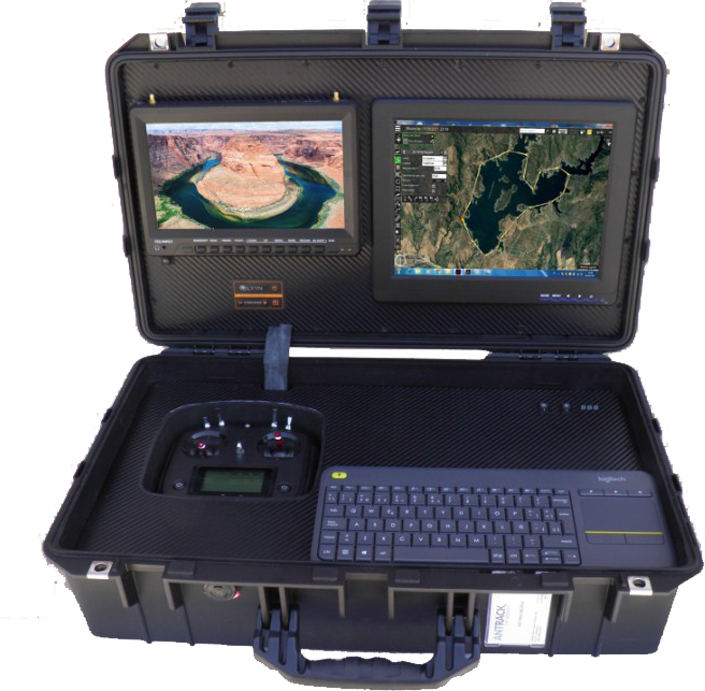 Transport case for the complete UAV and accessories. 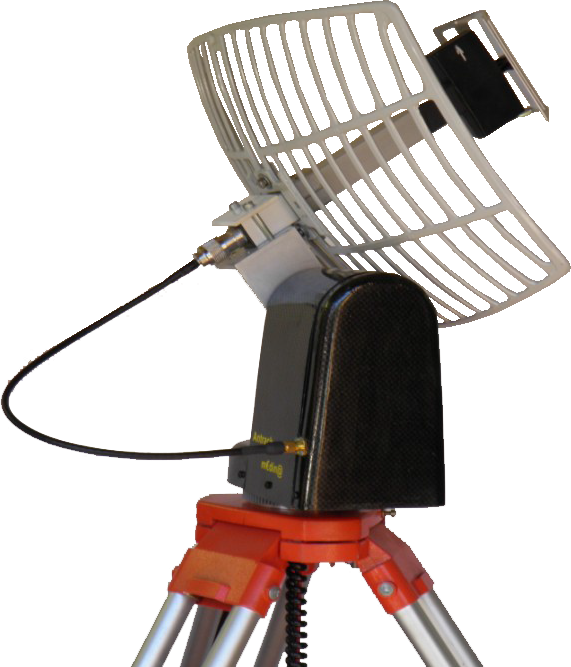 Shoring system of directive antennas towards the UAV with our Antena Tracker, increases the security of the link with the FW-210.